Rabbi and preacher in the seventeenth and eighteenth centuries. 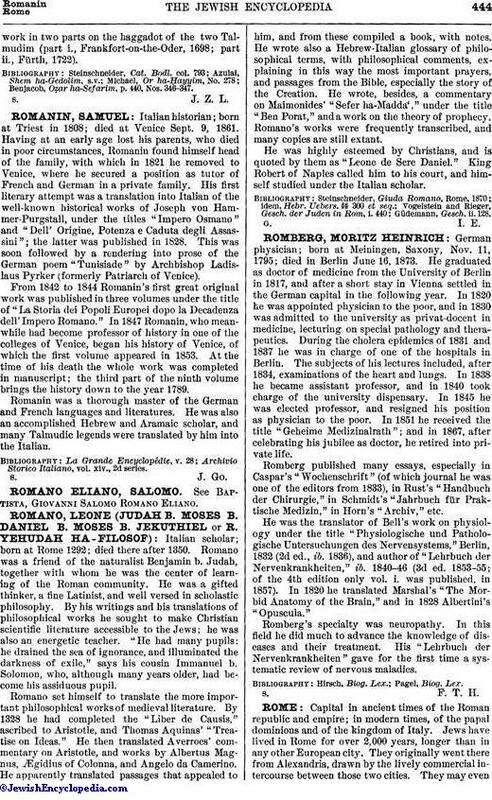 He officiated as darshan in Semigrod, and later in Dessau, and in his old age lived at Metz. 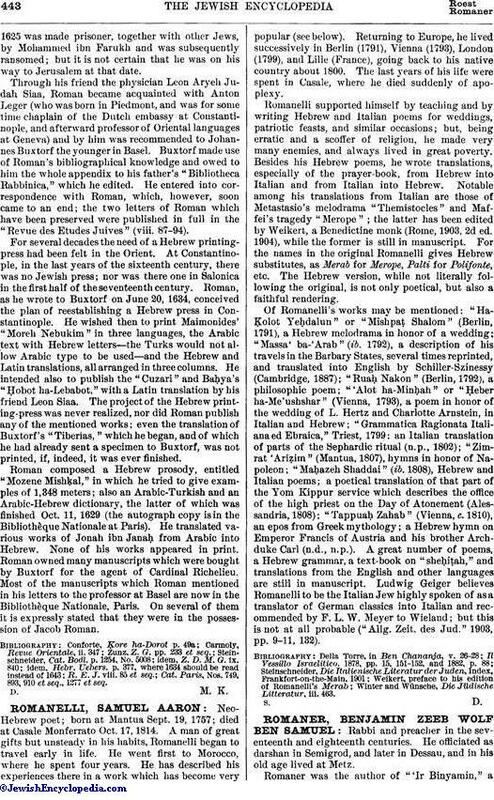 Romaner was the author of "'Ir Binyamin," awork in two parts on the haggadot of the two Talmudim (part i., Frankfort-on-the-Oder, 1698; part ii., Fürth, 1722). Benjacob, Oẓar ha-Sefarim, p. 440, Nos. 346-347.